WordGirl fights crime and enriches vocabulary as she takes on quirky villains including Birthday Girl, in Earth Day Girl; Chuck the Evil Sandwich-Making Guy in You Can't Crush City Hall; Dr. Two-Brains in Two Brain Highway; The Butcher in Jerky Jerk; Tobey in Tobey or Consequences; Mr. Big in Mr. Big; Granny May in Coupon Madness; and Lady Redundant Woman in Lady Redundant Woman. 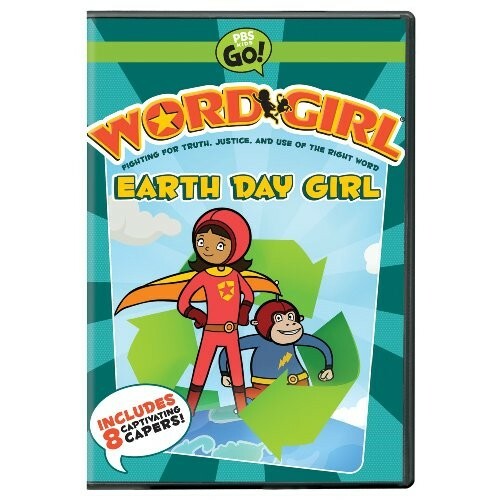 In classic superhero form, WordGirl uses her superhero strength and colossal vocabulary as she battles and prevails over evil! For more products featuring this word-wielding superhero, visit our WordGirl Collection.